Ever heard of the word amortization? Well, if you are into business then you have probably come across real estates and car loans, so this should be familiar you. Amortization is basically the process of paying off or tracking an amount (usually a financial plan debt) over a period according to a predetermined plan, i.e. the schedule. An amortization is usually set at a certain period of time and it requires a sample schedule. This allows the borrower and the lender to know on which date should the payment be settled. It is more likely a fixed schedule than a flexible schedule because of the financial effect it would cause. It is comprised of a period that could last depending on the agreed terms of payment that the business loan should be paid. In most cases especially with note of mortgage and car loans, it is usually set on a monthly or yearly basis. 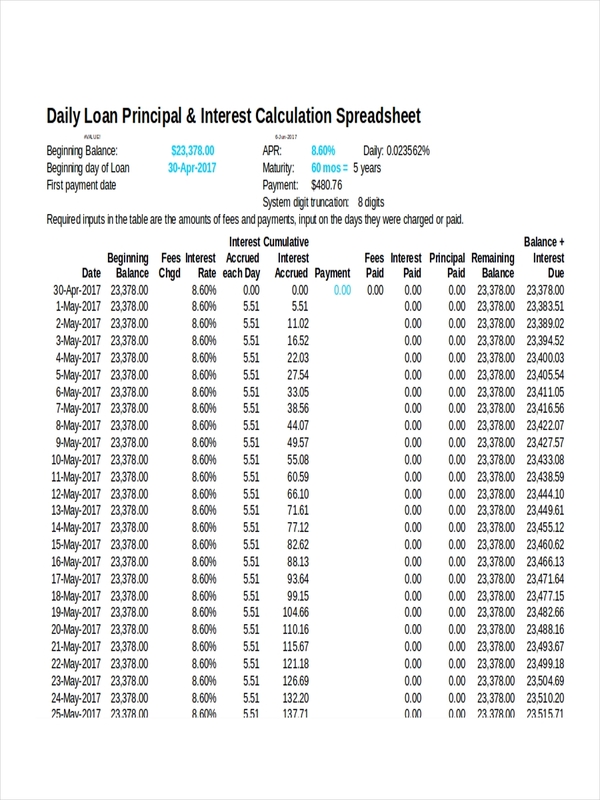 This schedule is important in order to keep track of the payment for the loan. In order to develop an amortization schedule you need to know some important terms in accounting. Understand the type of loan. There are many ways where an amortization is applicable. A few common ones are car loans and housing loans. You need to learn a few basic things like how long is the amortization for and their interest rates. Learn proper calculation. 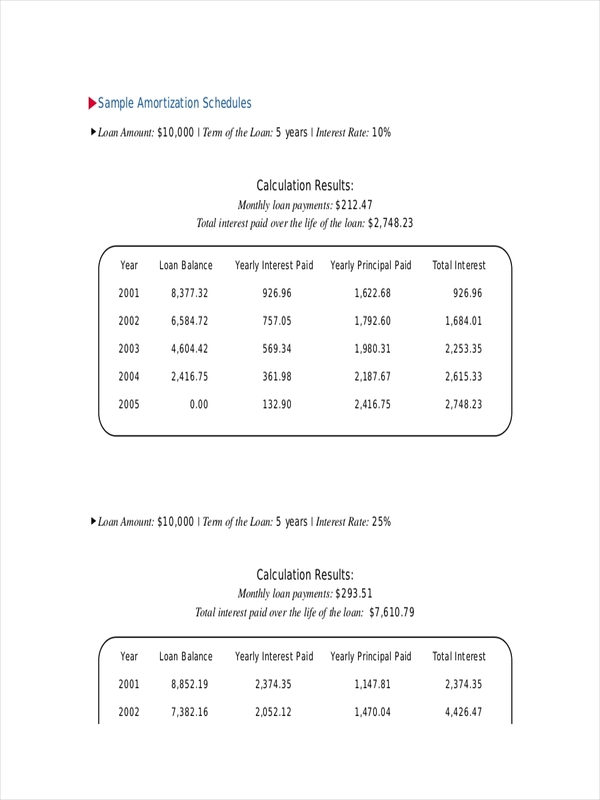 Since you are dealing with money, you need to be very careful with the amortization calculation. While there are other institutions who have automated way of calculating the amount, you still need to learn the basic and proper way of doing it. 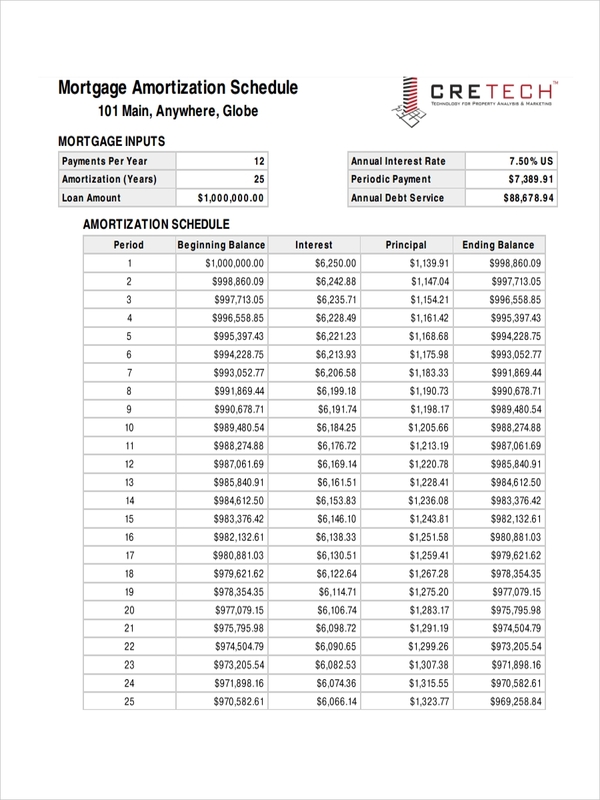 Why Do You Need a Loan Amortization Schedule? You need to be careful with every detail when it comes to finances. Especially in a loan agreement, every data plays a vital role. That is why a loan payment schedule is important. Just like any other types of schedules, this one serves an essential role. An amortization schedule serves as a guide for both the lender and the borrower to keep track of the loan’s progress. 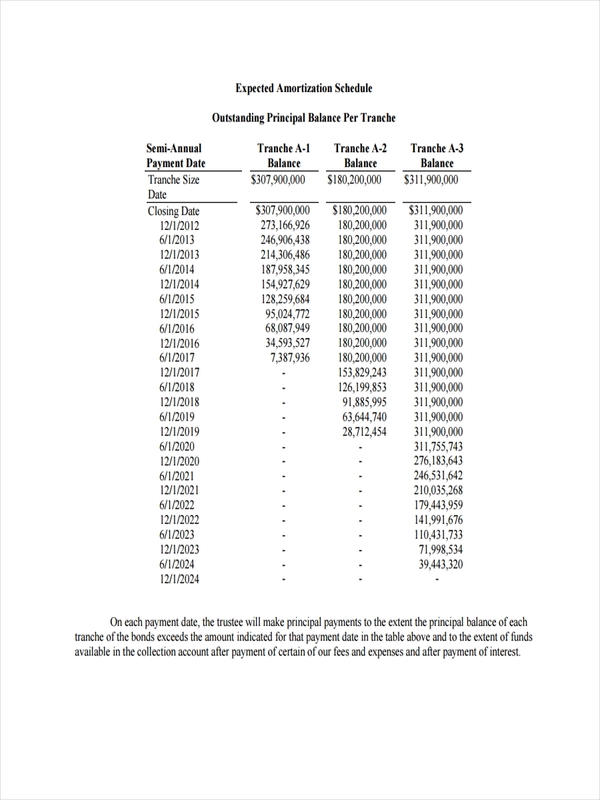 With each payment made, the principal amount also decreases until the full balance is settled. 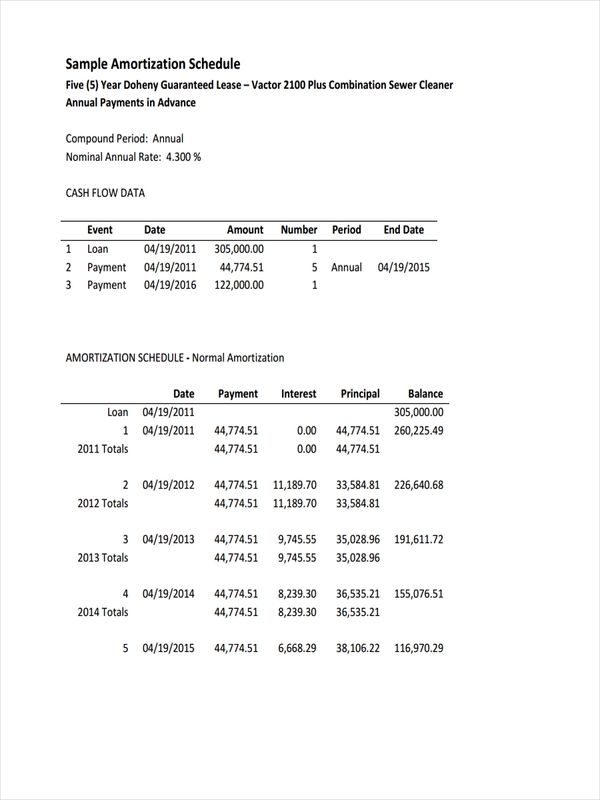 Securing a schedule in pdf allows you to pay the balance on time and keeps you out of trouble. When calculating an amortization, you do not need to be an expert in accounting. You just need to know some basic mathematical techniques and solutions. Start with the loan balance. To properly calculate your amortization, you need to know what is the principal amount of your loan. 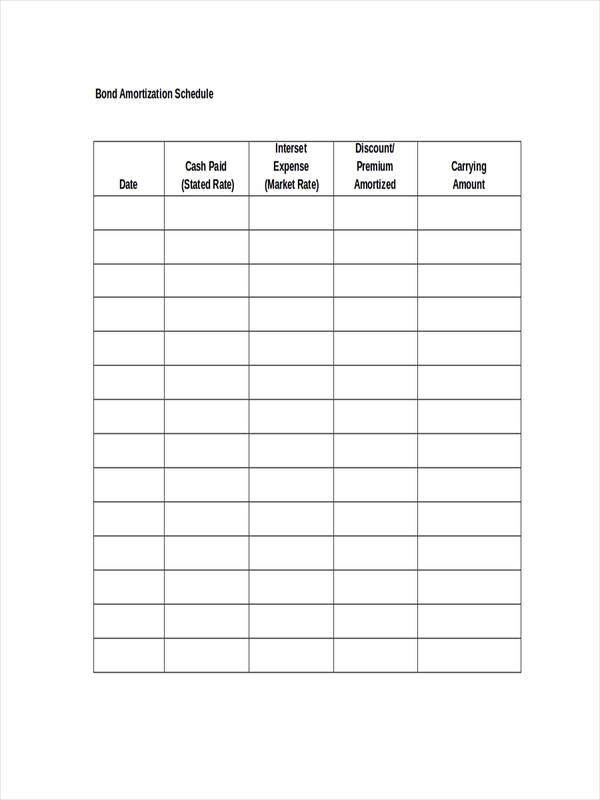 Determine the total number of payments. 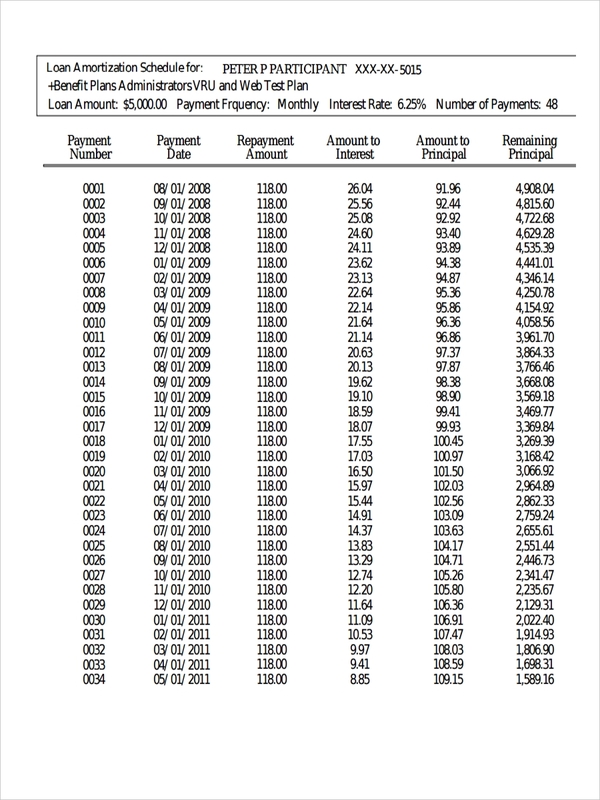 If the loan term is for 20 years and you have to pay every month the total of that should be 240 payments (12 x 20 = 240). Minus your monthly payment from the principal amount. To determine how much you owe, subtract your monthly payment from the principal loan amount.